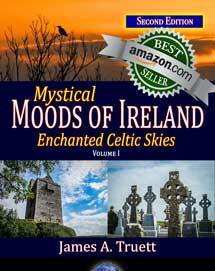 If you feel a deep spiritual connection with the mystical lands of Ireland, or you simply sense the enchantment of the words of Ireland’s famed Nobel Prize-winning Poet, William Butler Yeats, you’ll enjoy this fourth volume in the Moods of Ireland series, Mystical Moods of Ireland, Vol. 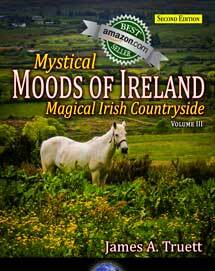 IV: In the Footsteps of W. B. Yeats at Coole Park and Ballylee, capturing the moods of two of the literary icon’s favorite places — and sources of inspiration — in County Galway, Ireland. For more than 30 summers, Yeats sought refuge at Coole Park and in his 15th Century Norman castle, Thoor Ballylee, from the social, cultural and political upheaval of late 19th and early 20th Century Ireland. 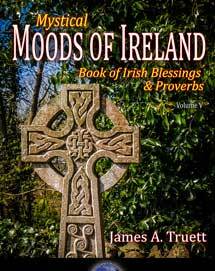 The perfect accompaniment to any collection of Yeats’ works, these stunning images by bestselling Author/Photographer James A. Truett, will take you along on your own visual journey “In the Seven Woods,” immortalized in his 1903 collection of the same name, and to his iconic Tower with its Winding Stair, both featured in his later writings. Let this book and these images be your refuge as well, as you experience and feel the natural and other-worldly beauty that inspired one of the greatest literary minds of our time. 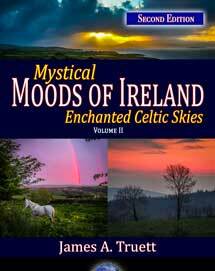 Download your copy of Mystical Moods of Ireland, Vol. 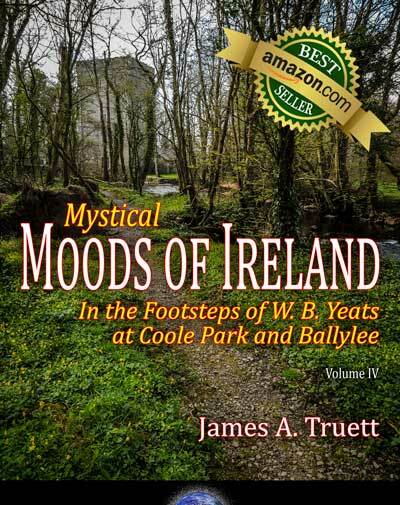 IV: In the Footsteps of W. B. Yeats at Coole Park and Ballylee or order the 134-page glossy softcover book today and let your imagination carry you into the mystical world that inspired Yeats! ~ Dr. Michael J. Shadow, PhD.